So Ministries of Mercy was first published in 1989. Maybe you can remember, shortly after, in the 1990’s, red ‘WWJD?’ armbands popped up all over the place. You just weren’t cool if you didn’t have one. ‘What Would Jesus Do?’ quickly became “a personal motto for adherents of Evangelical Christianity who used the phrase as a reminder of their belief in a moral imperative to act in a manner that would demonstrate the love of Jesus” (Wikipedia 2012a). Ministries of Mercy as a book was not causal in the social concern explosion of the 1990’s, but was rather a product of its time. How might we summarise the content of Ministries of Mercy? 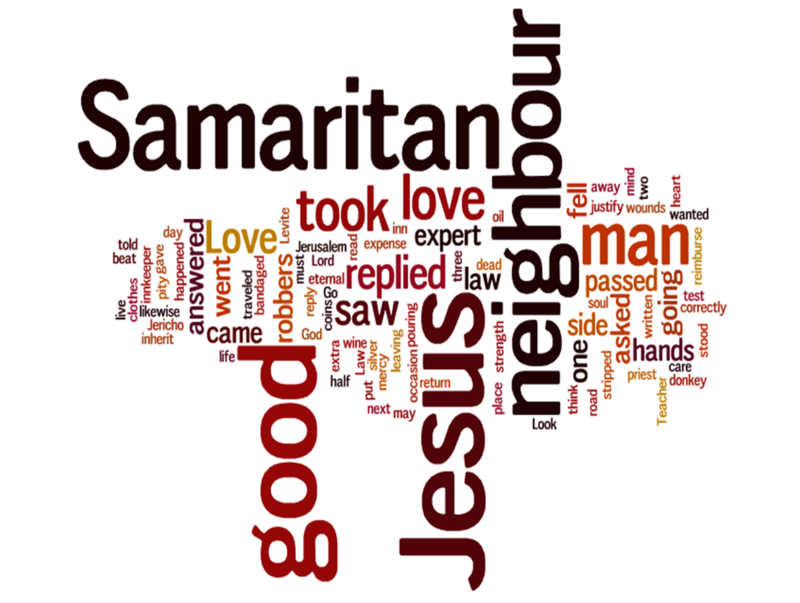 “Who is our neighbour, and how should we relate to them?” asks Garibaldi McFlurry (2012), “That’s the question that drives this book.” Ministries of Mercy is divided into two parts, the first part, a running contextualized commentary on the parable of the Good Samaritan, is captured succinctly in this quote from the book, “The only true and enduring motivation for the ministry of mercy is an experience and a grasp of the grace of God in the gospel. If we know we are sinners saved by grace alone, we will be both open and generous to the outcasts and the unlovely” (Keller 1989:58). The second part is very practical, dealing with implementation ideas and issues. 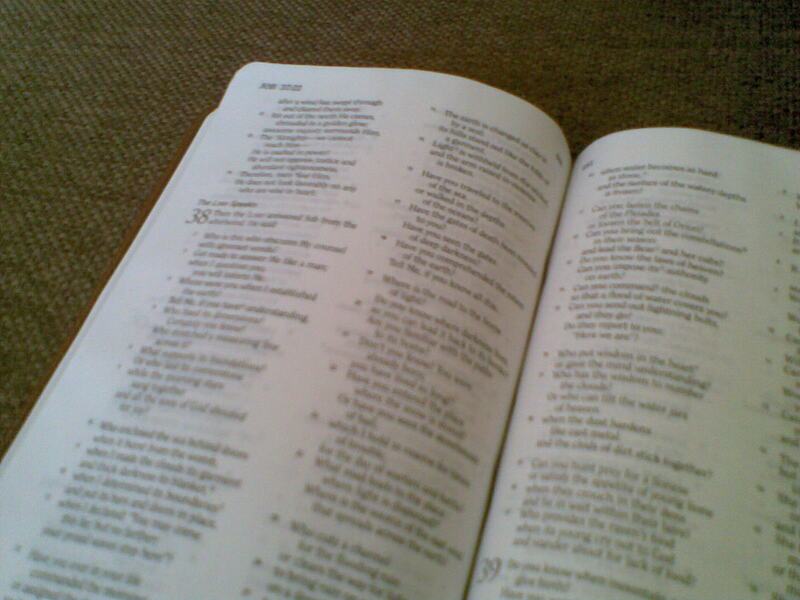 In December 2009 Midrand Chapel set up two Bible Studies using Ministries of Mercy as a guide book (Penrith 2009). As elders we desired to initiate an evangelistic work into Olivenhoutsbosch, a neighbouring township, and felt there needed to be a deeper theology of social concern tied to the project. At the time there was also a perceived lack of social concern in our congregation and we wished to approach the issue in a measured way. Over the period of the study I evaluated the book and was involved in initiatives which flowed out of the study. Both my positive and negative observations are detailed in the evaluation section below. Keller sees a point of teaching or point of application under every stone and behind every bush in the parable of the Good Samaritan. Oh, he isn’t as allegorical as Origen (Lienhard 1996:138), but he breaks a fundamental rule in interpretation. Each of Jesus’ parables makes only one main point. Keller will have his reader believe Luke 10:33, “And when he saw him, he took pity on him” underpins The Motivation For Mercy; and, from the same verse, “But a Samaritan…” makes a point about Church and the World: A Balanced Focus. No, that’s beyond Christ’s intent. The parable as a whole is Jesus’ single answer to the single question, “And who is my neighbor?” To go beyond that is to inject meaning into the text that was never intended. I believe that’s what Keller does; for noble reasons he embellishes the point of the text until the point becomes obfuscated and the intended meaning to the intended recipient is lost. The second negative is hardly Keller’s fault, so I’ll not dwell on it too long. Much of the application seemed to be focused on a straw church of 1,000,000 volunteers and an unlimited budget (weighed in Dollars not in Rands). We had neither. Also Keller’s use of surveys immediately smacked of church-growth which is anathema to the conservative church culture I come from. To me it seems amongst the Christian’s primary challenge is to maintain one’s focus upon the cross. That’s really not easy in this messed up world, but we make it harder when we start to allow even good things to impinge on that which should be singular. Keller presents a model in which the Gospel and social concern go hand in glove. 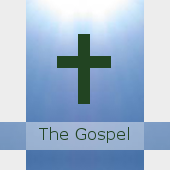 The Gospel must be primary in the relationship, social concern may be necessary, but it remains of secondary import. I don’t believe Keller got that balance right. He implementation of Ministries of Mercy strategy feels like social concern leads, with the Gospel tagging along. So what did I get out of it? A lot actually. Before reading Ministries of Mercy I lacked a heart for social concern. I hate myself for saying it, but, I knew I needed to do something, but didn’t see the urgency of what I needed to do. Whilst I may not agree with everything between the pages of Ministries of Mercy it certainly challenged me towards action. Keller’s heart bleeds off the page and his zeal for the afflicted is contagious. I loved the desire to do something that the book instilled into me. Very soon after completing the Ministries of Mercy Bible study our church began working in Olieven providing a number of services to the community including Saturday tutoring at the local high school. Whilst our church plant stalled the experience gained was incalculable. Crystal Park Baptist Church, the small congregation I now serve, has embarked on a number of internal and two sustainable external social concern initiatives. We approached the two schools in our suburb and offered to take their assembly devotionals. After a year of interacting with them we began to offer them social services. We go in and provide counselling to children in the high school once a week and provide drama, singing and dance classes to the primary school. It is worth pointing out that we’ve recently begun to see fruit from these two evangelistic activities, only realised after the social work began. Whilst Ministries of Mercy is an excellent read, and will certainly allow the thoughtful bookworm to ponder afresh the need and importance of social concern in the midst of the church they serve. That said I’d caution against running a Bible study following the material. So on Friday I received a Holman Christian Standard Bible (HCSB). I was planning on reading through Genesis to Psalms starting this Sunday night, but I was too excited and couldn’t wait, so I read Genesis 1 – 11 to Liezl on Friday night and the rest of Genesis on Saturday morning. Time will tell if I too decide to adopt it, but for now I can say that I’m finding it very easy to read, I’m enjoying the translative decisions that have been made and the interpretive decisions so far match my own theological leanings. I’m reading the text out loud, with a notebook and pen sitting next to me. I’ve jotted down interesting verses which I think deserve a mention or more research a little later on (I’ve put down about a third below, highlighting what it was about the text that drew my attention). Oh, and I’ve not read anyone else’s review or endorsements yet, but I will, once I’ve done reading the Pentateuch, tonight, hopefully. Have you read the HCSB? Thinking of reading it? Using it in your church? Hate it passionately? I’d value any comments or concerns that you may have. 1:1 In the beginning God created the heavens and the earth. In the beginning God created the heavens and the earth. In the beginning God created the heavens and the earth. One of my favourite verses. 4:26 A son was born to Seth also, and he named him Enosh. At that time people began to call on the name of the Yahweh. Seth also had a son, and he named him Enosh. At that time people began to call on the name of the LORD. To Seth, to him also a son was born; and he called his name Enosh. Then men began to call *upon the name of the LORD. I love the use of YAHWEH for the covenant name of God. 12:1 – 3 The Lord said to Abram: Go out from your land, your relatives, and your father’s house to the land that I will show you. 2 I will make you into a great nation, I will bless you, I will make your name great, and you will be a blessing. 3 I will bless those who bless you, I will curse those who treat you with contempt, and all the peoples on earth will be blessed through you. The LORD had said to Abram, “Go from your country, your people and your father’s household to the land I will show you. I will make you into a great nation, and I will bless you; I will make your name great, and you will be a blessing.I will bless those who bless you, and whoever curses you I will curse; and all peoples on earth will be blessed through you.” Now the LORD said to Abram, ” Go forth from your country, And from your relatives And from your father’s house, To the land which I will show you;And I will make you a great nation, And I will bless you, And make your name great; And so you shall be a blessing;And I will bless those who bless you, And the one who curses you I will curse. And in you all the families of the earth will be blessed.” The establishment of the covenant relationship between God and the Seed of Abraham. 22:12 Then He said, “Do not lay a hand on the boy or do anything to him. For now I know that you fear God, since you have not withheld your only son from Me.” “Do not lay a hand on the boy,” he said. “Do not do anything to him. Now I know that you fear God, because you have not withheld from me your son, your only son.” He said, “Do not stretch out your hand against the lad, and do nothing to him; for now I know that you fear God, since you have not withheld your son, your only son, from Me.” This might just be me, but I’ve really enjoyed the capitalizations of the Theophonies. This is a interpretative decision rather than a translative one, and I like it. 25:30 He said to Jacob, “Let me eat some of that red stuff, because I’m exhausted.” That is why he was [also] named Edom. He said to Jacob, “Quick, let me have some of that red stew! 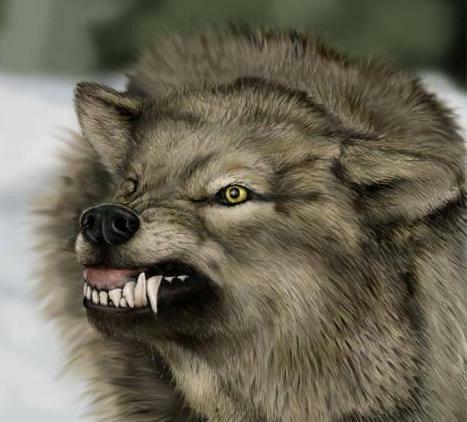 I’m famished!” (That is why he was also called Edom. ) and Esau said to Jacob, “Please let me have a swallow of *that red stuff there, for I am *famished.” Therefore his name was called *Edom. I love the easy readablity of the text. There of tons of examples of this throughout the text like the way apostraphies are used to shorten words. 26:20 But the herdsmen of Gerar quarreled with Isaac’s herdsmen and said, “The water is ours!” So he named the well Quarrel because they quarreled with him. But the herders of Gerar quarreled with those of Isaac and said, “The water is ours!” So he named the well Esek,because they disputed with him. the herdsmen of Gerar quarreled with the herdsmen of Isaac, saying, “The water is ours!” So he named the well *Esek, because they contended with him. I love the transliteration of the names of proper nouns. They don’t do it with all of them, but do do it where it makes sence. This is a translative decision, and I like it a lot. 29:17 Leah had delicate eyes, but Rachel was shapely and beautiful. Leah had weakeyes, but Rachel had a lovely figure and was beautiful. And Leah’s eyes were weak, but Rachel was beautiful of form and *face. I immediately realised the distinction that had been made here. 31:53 The God of Abraham, and the gods of Nahor-the gods of their father-will judge between us.” And Jacob swore by the Fear of his father Isaac. May the God of Abraham and the God of Nahor, the God of their father, judge between us.” So Jacob took an oath in the name of the Fear of his father Isaac. “The God of Abraham and the God of Nahor, the God of their father, judge between us.” So Jacob swore by the fear of his father Isaac. I The pluralisation of the gods (el) which makes translative sense given that chapter 1 was translated as plural. 32:26 Then He said to Jacob, “Let Me go, for it is daybreak.” But Jacob said, “I will not let You go unless You bless me.” Then the man said, “Let me go, for it is daybreak.” But Jacob replied, “I will not let you go unless you bless me.” Then he said, “Let me go, for the dawn is breaking.” But he said, “I will not let you go unless you bless me.” Another example of capitalisation of a Theophony. 33:19 He purchased a section of the field from the sons of Hamor, Shechem’s father, for 100 qesitahs, where he had pitched his tent. For a hundred pieces of silver,he bought from the sons of Hamor, the father of Shechem, the plot of ground where he pitched his tent. He bought the piece of land where he had pitched his tent from the hand of the sons of Hamor, Shechem’s father, for one hundred *pieces of money. Quesitahs. Going to have to go away and add that to my Biblical dictionary. 43:34 Portions were served to them from Joseph’s table, and Benjamin’s portion was five times larger than any of theirs. They drank, and they got drunk with Joseph. When portions were served to them from Joseph’s table, Benjamin’s portion was five times as much as anyone else’s. So they feasted and drank freely with him. He took portions to them from *his own table, but Benjamin’s portion was five times as much as any of theirs. So they feasted and drank freely with him. This was interesting spin on a story I’ve read a number of times before. Maybe a little more cutting that I expected. 46:25 These were the sons of Bilhah, whom Laban gave to his daughter Rachel. She bore to Jacob: seven persons. These were the sons born to Jacob by Bilhah, whom Laban had given to his daughter Rachel—seven in all. These are the sons of Bilhah, whom Laban gave to his daughter Rachel, and she bore these to Jacob; there were seven persons in all. Now this raises a major concern I’ve got, the online HCSB doesn’t line up 100% with the printed HCSB I’ve received. In fact two of the verse I choose to highlight here weren’t the same in the two formats. This will be a big problem. 50:9 Horses and chariots went up with him; it was a very impressive procession. Chariots and horsemenalso went up with him. It was a very large company. There also went up with him both chariots and horsemen; and it was a very great company. I much prefer this rendering. Today a Holman Christian Standard Bible (HCSB) arrived on my doorstep via courier. Why is this important to note you may ask? Not a bad question dear reader, not a bad question at all. There is a tension at Crystal Park Baptist Church. Let me explain lest you fear church split. Half of our congregation is second/third language English speaking black folk; quarter of the congregation second language English speaking white folk; the remainder first language English speaking white folk like me. A quarter of our congregation on any given Sunday is under the age of twelve. And the paster is a student, trying hard to crack the Biblical languages. The variety in last paragraph sounds so encouraging doesn’t? So why’s there tension? Great question! Well, being a student of God’s Word, I favour a literal interpretation (King Jimmy, the New King Jimmy, English Standard Version ect). I preach from a New American Standard Version. The kids, under twelve, who’s parents don’t come to church, and who are second language English speakers are encouraged to use a Good News Bible as it’s really easy to read and simple to understand. The first language English speakers are recommend to get a literal translation for themselves. And to the rest, the adult second/third language speakers, we encouraged the use of the New International Version. Now variety is the spice of life (did you notice the variety excluded the Message, the Amplified, the Voice, Today’s New International Version?). I’d not have a problem with this as the status-qua, except things change. Firstly, my bible is falling apart. I bought a Thomas Nelson bonded leather John MacArthur Study Bible back in the day. Well, I read my Bible, so if there was a fault in the manufacturer it’d always come to the fall. Because I now need to replace my Bible I am thinking of changing the interpretation I use. Secondly, the NIV is falling apart. Oh, OK, that might not be fair. I had read through the 1984 NIV translation a number of times and I was happy enough with the translation. But it’s no longer in print :(. That means I must now adopt a new standard for half my congregation. And so I’m out shopping. Where will we settle? I don’t know right now. I do know that I’m excited after reading the HCSB’s translation philosophy as it might serve the needs of my church. I’m also delighted after reading the gender language policy they’ve employed. 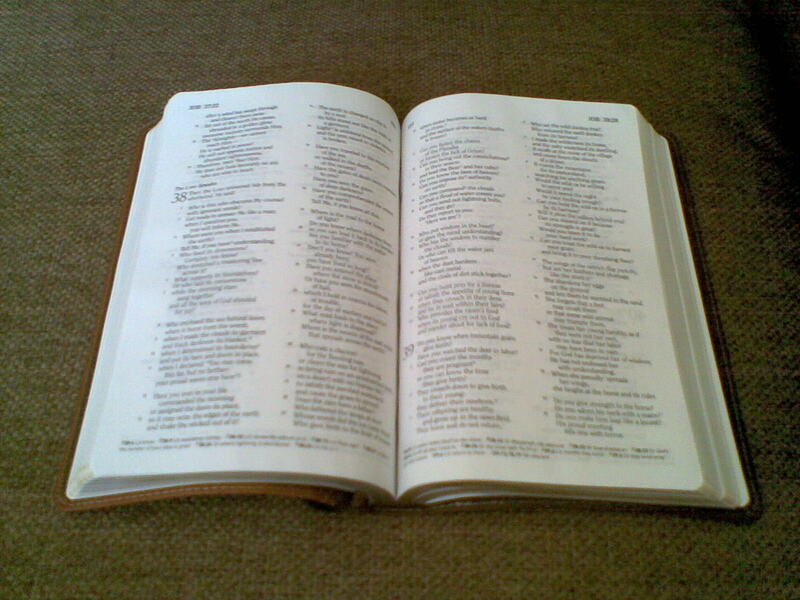 As I’ve gone through the Bible I’ve been sent I’ve also been impressed by the great features in the edition I’ve been sent. On Sunday evening, Monday evening and Wednesday I’ll be reading from this translation, hopefully I’ll be able to cover a fair portion of the Pentateuch and History up to the Psalms. Then I’ll be able to say if I’m excited about the translation itself. Nothing beats readings God’s Word. I’m looking do forward to my week ahead. Have you read the HCSB? What did you like about it? What did you dislike? What cautions might you give? I’d love to hear from you. 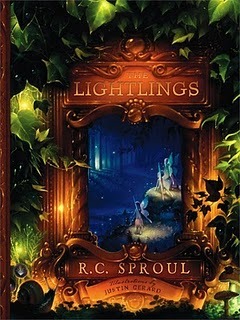 The Lightlings, written by R.C. Sproul and illustrated by Justin Gerard. Click image to enlarge. My family and I started attending Crystal Park Baptist Church at the beginning of December, leaving Midrand Chapel, our spiritual home for 12 years. The departure was heart wrenching for my wife and kids, who cried buckets at the farewell. We left friends, confidants, support structures, family. As a parting gift to our children Chris and Megan Woolley (the pastoral couple at Midrand Chapel) gave two books (The Lightlings and The Prince’s Poison Cup) written by R.C. Sproul and illustrated by Justin Gerard. I sat on Kathryn’s bed a few nights ago with her cuddled into my chest, on the other side Kaitlyn, snuggled and content, and narrated The Lightlings to them. Towards the end of the story I had a tear rolling down my cheek as I reflected on the wonderful gift of Jesus Christ, our Lord, God and Savior, to a world which didn’t know Him and in willful rebellion rejected and killed Him. The kids saw right through the tale, as if it were a transparent film which brought the Biblical message into sharp focus. When we got to the discussion questions at the end of the book I was amazed at how much our 5 year old understood and was able to articulate back to me. I’d say that The Lightlings is suited for children aged 4 – 10. Justin Gerard’s illustrations are as mesmerizing for the children as they were for me and R.C. Sproul transforms a Theological debate into a family discussion as accessible to my daughter of 5 as to her dad of 35. The kids are dying for more and I can’t wait for the next installment. This really is the perfect Christmas gift for kids. I saw them on the shelf at Augustine Bookroom for R120.00. False teachers are everywhere nowadays. This is a review of Ioudas’ book. Click image to enlarge. This is tightly connected to yesterday’s blog posts. So here’s the thing, I’ve just finished reading a great book by an author named Ioudas. He has plenty to say about the current state of the church and spends a great deal of time describing the actions and attributes of false teachers. He also has some practical input on how we should interact with them: very carefully. 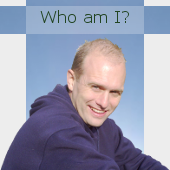 In the final section of the book he answers a critical question. If you spend time around these wolves, these false teachers and their false teachings don’t you stand the risk of falling yourself? Couldn’t you maybe be influenced? Maybe even loose you salvation? Well I think it’s a great question. Ioudas’ answer is startling. You will fall Christian… if it were up to yourself. There’s nothing you could do to stop yourself. But there’s good news, no, there’s great news! It’s not you that keeps youself saved it’s all a work of God. He keeps you, He preserves you, He holds you, He ultimately is the one who guarantees your salvation. I don’t know if you’ve ever read his book but I managed to get permission to publish the audio book on my blog. It’s read by a guy called Sam Stinson and it’s only 4 minutes and 28 seconds start to finish (that’s nothing, just download it and listen to it). To be honest you’ll never understand the context of the last three posts until you do. Coming up tonight or tomorrow: What does contending for one’s faith look like? False teachers are everywhere nowdays. This is a review of Ioudas’ book. Click image to enlarge. I’ve just finished reading a great book by an author named Ioudas. I had read a biography about him a while back and know that he’d probably have wanted to spend his time writing about salvation but instead focuses on false teachers and apostasy. He was born in the Mediterranean region and his name is exactly the same as the man who betrayed Jesus Christ, that chief of apostates, the traitor Judas. How ironic. 1. Firstly, not every person that you encounter which has strayed from mainline doctrine is as evil as evil can be. Some people are just wavering. If being a false teacher is a journey then we might say that they’ve taken the first tentative steps down the ladder descending to hell. That said we need to have real compassion for them, interact with them and try to pull them back. 2. Second, others will have gone further down the spiralling path towards destruction. That’s the nature of the beast I guess. Ioudas says that we’re to try every mechanism, a last gasp attempt to save these folk, to point out their falsehood, and lead them back to the straight and narrow. 3. Finally, others are sold in hook line and sinker. They’ve hit the bottom, the low, they’re in the pit they just don’t know it yet. Are we to leave them to their own devices? Are these the false teachers we’re to spurn? No, not at all. We’re still to interact, but really, really carefully because they’re about as vile as vile can be. It’s like they’re sick, have a disease and even though you should engage with them you need to take every precaution not to catch what they’ve got. The last part of the book deals with us staying holy in spite of this task we’ve been given of interacting with the unholy. I’ll post it tonight or tomorrow (actually I’m really excited to get to the end of this series). Oh, guess what, I have permission to post the entire audio book online which I’ll do with the next instalment. Anyone else read the book? Who do you enjoy reading? 1. Never mind what you’ve been told the Buddhists and Muslims and Jews aren’t the worst spiritual threat that’s facing the church today, it’s the people claiming to be Christian who aren’t. They’re trying to bring down the church from the inside. Be very careful of them. 2. Don’t be shocked by this because many of the Christian writers and leaders right from the Old Testament to the New have been saying it was going to happen for a very long time. Deal with it. 3. Some of the false teachers reject the truth which is right before their eyes, others reject the truth which has been made intellectually clear to them and still others reject the truth by the way that they live their lives in utter rebellion against God. All of them will be judged harshly. 4. They can be spotted and singled out by the way they chase after their own lusts, absolutely despise the authority of Jesus Christ as Lord and have no regard for God’s holy Law. They don’t even understand the extent of their intentionally sin against Him. 5. Some of them have chosen to reject the Gospel as individuals, worse others have collected followers to themselves and still worse there are those that have created entire spiritual movements in opposition to the Word of God. 6. The reasons why you need to be very wary of these false teachers is that they will try and wreck everything, they will pretend to build up the body but they actually just have selfish motives, they profess to hold “divine truth” but in actual fact they’re spiritually dead, they’ll rant and rave and put on quite a show but it’s all meaningless. They’re like a fad, a passing fashion, a flash in the pan, here today and gone tomorrow. 7. In case you were wondering what they look like: they come in all shapes and sizes, some will be spreading rumours in the background, others will be constantly nagging and complaining causing a ruckus and still others will be trying to dominate in the body, seeking to get into the lime light. 8. In truth they are chasing after their own perverse passions. They want to break up the unity of the body and, although they’d say the opposite, they don’t have the Spirit of the Lord within them at all!